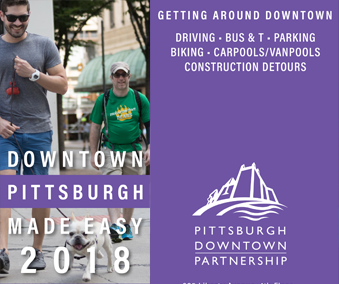 Cosmopolitan and convenient, living in Downtown Pittsburgh is a perfect blend of “big city” vibe with small town comfort. 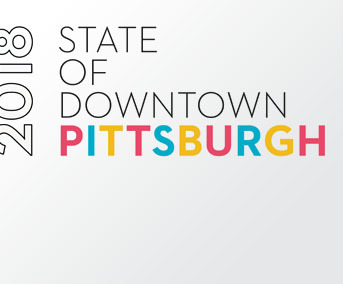 With a central location, eclectic, historic, and contemporary architecture, a spectrum of amenities within less than one square mile, and three signature rivers bordering it with natural beauty, Downtown Pittsburgh is your urban neighborhood in the heart of the city … a place that you’ll love to call home. 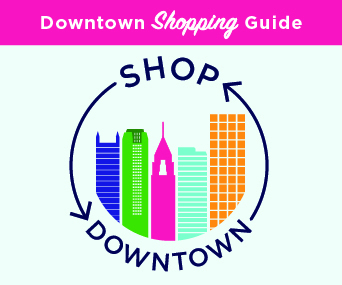 The PDP has gathered common resources to make your transition into Downtown living easier. 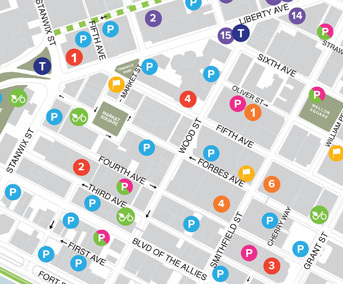 Downtown residents are eligible for a reduced-priced parking in Parking Authority garages with available leases. These prices reflect the removal of the 33% parking tax on garages. Applicants need to provide the lease agreement, a valid driver’s license with the Downtown address, a utility bill in the applicant’s name, and proof of payment of city taxes. Contact the Pittsburgh Parking Authority at 412-566-7275 for more information and a list of available garages. Non-emergency concerns within the City of Pittsburgh can be submitted by dialing 311 from a phone within city limits, tweeting at the official account, or by submitting a form online. Please visit the 311 Response Center website for more information.